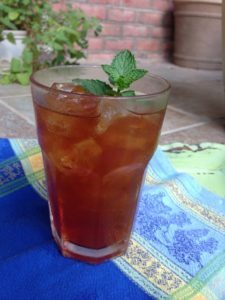 My first memory of drinking iced tea was at Camp Lachlan in 1957. My parents would not have dreamed of allowing me to drink iced tea, which was considered an adult beverage. However, I took to it immediately. Lachlan’s tea was served at lunchtime in the dining hall and refills were allowed. It was ambrosial to little girls fresh from the hot and dusty barn or archery range. The caffeine in Lachlan’s iced tea did not help me sleep during the hour-and-a-half Rest Hour, though. 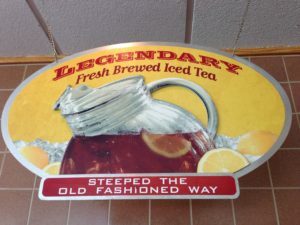 My affection for Bojangles’ Famous Chicken ‘n Biscuits begins with their iced tea, which they profess to make fresh daily. It is available both sweet and unsweetened. The first item on my personal Bojangles quality checklist is the iced tea. You can tell pretty easily if they really did make it fresh that day. Why, you ask, use loose tea when large tea bags are sold at the grocery store for the express purpose of making iced tea? According to experts (and the web is full of tea blogs,) tea bags are filled with “dusts and fannings” from broken tea leaves rather than full-leaf tea. If you want quality tea, use loose tea. 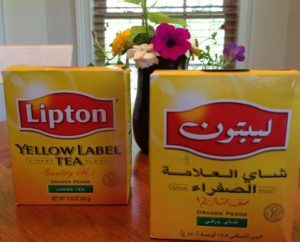 But over the years it has become impossible to buy Lipton Loose Black Tea at my grocery store. Fortunately it is available from Amazon so I buy a four-pack of the 8-ounce boxes and keep the extras in the freezer. The boxes in the most recent order made me smile–they seem to have been produced for the international market. Fresh mint is available at the grocery store. You can put a stem of mint into a glass of water on the sill and it will eventually grow roots. Then the stem of mint can go into a 7-inch pot. It needs watering when the dirt is dry. The mint plant will grow outside until frost, and winter over indoors if you water it. All you need is a sprig with a few leaves on it for your iced tea. 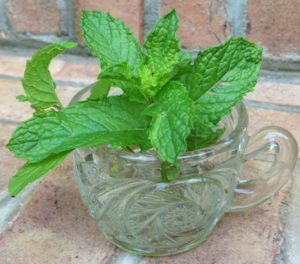 Put ¼ cup loose tea in a quart-size Pyrex measuring cup along with the mint. Pour boiling water over tea and mint to about the half-way mark on the measuring cup. Let it steep for about 5 minutes. 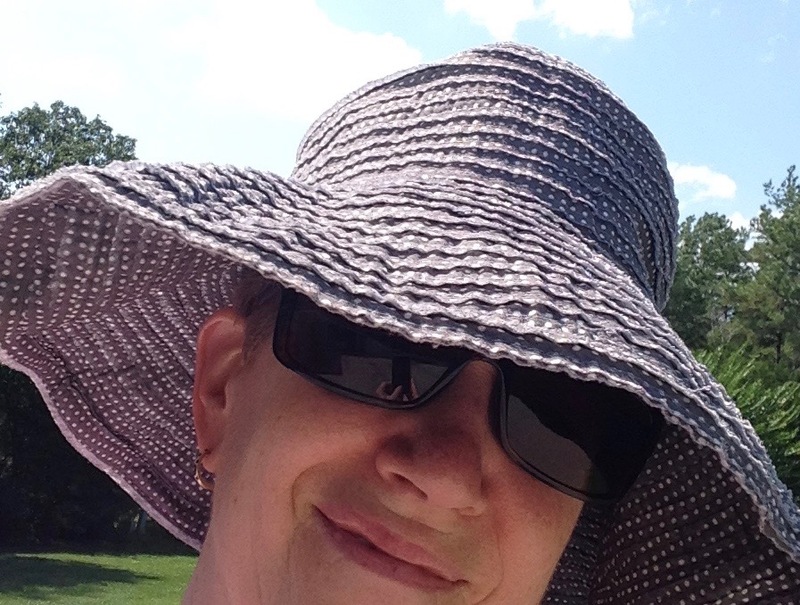 Put ¼ cup sugar in a 2 ½-quart pitcher. When the tea has steeped for at least 5 minutes, pour the tea through a strainer into the large pitcher. Press the tea leaves in the strainer to get more tea from them. Stir the hot tea in the large pitcher until the sugar is dissolved. Fill the pitcher with cool tap water and stir. (If your water is too cold, your iced tea may turn murky. Pour half a cup of boiling water into the tea to clarify it.) Chill. Serve over ice.